Apart from some remotely possibly upsets of top teams (I mentioned Clemson and Notre Dame in the Rankings blog), I’m not wildly excited about any of the matchups this week. I still thought of somethings I’d like to talk about. I miss the days where this was THE main rivalry week. The Big Ten used to finish up for good, but now they have 3 more weeks including the championship. Tomorrow it will be exactly 11 years since Ohio St. beat Michigan, probably with no suspicion that they were about to be involved in the craziest ending to a college football season in recent memory. Although the Buckeyes were ranked only #7 going into that final game, they would enter the bowls as the #1 team in the BCS standings. Despite its second loss coming in the last regularly-scheduled game, LSU would become the surprise #2 after winning the SEC championship on the same day Numbers 1 and 2 in the BCS (Missouri and West Virginia) both lost. LSU LB Ali Highsmith gets to the ball before Ohio St. QB Todd Boeckman can throw it in LSU’s 38-24 championship win in New Orleans on January 7, 2008. Anyway, I bring that up because the normal time of year for Ohio St. to play Michigan going back to the 1930s was between about November 17 and November 24. 2007 just happened to be the last time the game was on the 17th. The end of the Big Ten season got pushed closer to the end of November in 2010; and then with the start of the Big Ten Championship game in 2011, the Big Ten season now extends into December.. Some Big Ten teams finished conference play even earlier. For instance, in 2005, Wisconsin played its last Big Ten game on November 12. There were 11 teams in the Big Ten then, so I guess the Badgers were the odd men out for the rivalry week. Other end-of-season rivalries in the Big Ten were Minnesota-Iowa, Michigan St.-Penn St., Purdue-Indiana, and Illinois-Northwestern. 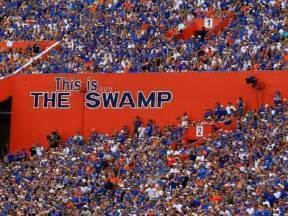 Althoughit was often played later (and only became the traditional final regular-seasongame in 1977), Florida played Florida St. on November 17 as recently as 2001. 2001 was also the last time UCLA played USC onNovember 17. Sometimes there was a latergame for one or both schools, but it was the second-to-last Saturday inNovember going back to the 1970s. 17 Nov 2001: Kevin Arbet tackles Craig Bragg as USC upsets UCLA 27-0 to qualify for a bowl game in Pete Carroll’s first year with the Trojans. Another big rivalry that used to be the second-to-last Saturday in November was Oklahoma-Nebraska. It was permanently moved to the last Saturday in November in the early 1990s before it stopped being an annual game in 1998. Of course Nebraska was a much more important team in those days than they are today. 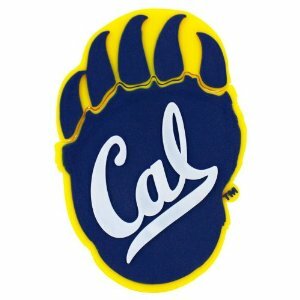 The date would sometimes vary a week or so, but the rivalry had been played around that time of year since the 1940s. The Iron Bowl was played between November 17 and November 23 every year from 1993 through 2006. Those were the first 14 seasons in which I had a meaningful interest in college football on the national level, though I followed LSU for about 5 years before that. Anyway, so I think that’s enough explanation of why I always feel like something is missing this week, especially since it became the week for the SEC to take it easy. Although it had been done occasionally a few times before (for instance, South Carolina played Middle Tennessee the week before Clemson in 2006; and LSU played Conference-USA opponents before Arkansas a few times in the 1990s), Alabama led the way with a real commitment to this trend. Startingin 2007, the Tide has usually had a bye before the LSU game, so since theycouldn’t have another bye before Auburn, they played UL-Monroe. The ended up losing to LSU, Auburn, and ULMin 2007; but that didn’t deter Alabama from that strategy. In 2008, the Tide did the opposite (byebefore Auburn, non-conference game before LSU), and it worked. Alabama only went a combined 3-3 against LSUand Auburn between 2009 and 2011, but they’re a combined 11-2 in regularly-scheduledgames against the two rivals since. For itspart, LSU played Tulane the week before the Alabama game in 2008 and 2009,which did not work. 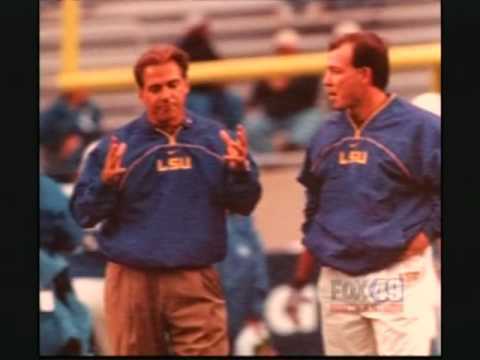 Then LSU went to thebye before Alabama (which worked for two years and hasn’t worked since), but theprecedent was already set. Sometimes it’sin late October instead of November, but the Tigers have had a late-seasonnon-conference game most of the years since. They did not have one in 2016 only because of rescheduling that resultedfrom the hurricane that hit Florida. Auburn has been more consistent. Except for 2013 when the Plains-Tigers were able to use a second bye before Alabama, Auburn has had a non-conference opponent the week before Alabama every year since 2011. Georgia originally scheduled its late-season non-conference opponent before Auburn, but in 2014 the Bulldogs changed it to the week before Georgia Tech. I’m not sure why it wasn’t done that way last year, but Georgia is back to that pattern this year. Anyway, so we are now at the stage where the big SEC rivalry game this week is Ole Miss-Vanderbilt. I’ll explain why. Arkansas has played Mississippi St. annually since 1992, but the Bulldogs have won 5 of 6 in the series, and the Hogs are only 2-8 on the season. Arkansas could back into a single-digit game like they did against LSU last week, but I hardly expect high drama. So that’s not a game to watch. Missouri and Tennessee (the CBS game of the week) have slightly better combined records than Vanderbilt and Ole Miss, but that’s only been a rivalry (of sorts) since Missouri joined the SEC in 2012. It hasn’t been a very interesting one either. Missouri ended both 2015 and 2016 really badly and lost to the Vols in the process. The Tigers won the other games. The only game of the six decided by fewer than 8 points was in 2012 (when each team would finish 5-7). Ole Miss and Vanderbilt, however, is a competitive longstanding rivalry between fairly evenly-matched teams. Since 2005, the only SEC team against which the Commodores have a winning record is Ole Miss (7-6). Vanderbilt won 5 of 6 in the series from 2007 to 2012, but Ole Miss responded by winning the next 3. The two programs have exchanged home wins over the past two years. The Commodores have won 4 of the last 6 games played against the Rebels in Vanderbilt Stadium. The three touchdowns by Vanderbilt RB Ralph Webb (#7) were the difference in Nashville two years ago. The Commodores had ended a 3-game series winning streak by the Rebels. As for this year’s respective teams, both are near .500 and have identical 1-5 conference records. Nonetheless,Vanderbilt could still guarantee a bowl game by finishing the season with home wins over the Rebels and the Volunteers, their two biggest historical rivals. The Rebels are still on probation and ineligible for a bowl, but I’m sure there is motivation to avoid a losing record and potentially finish with a winning record (which they could do by beating Vanderbilt and winning the Egg Bowl over Mississippi St.). One other rivalry I’d like to mention is LSU-Rice. It was before my time, but this used to be an annual series. Other than in-state (former/sporadic) rival Tulane, LSU has played Rice more than any other team that is currently outside of the SEC. LSU and Rice played each other every year between 1932 and 1952 and every year but one between 1955 and 1983. The only meetings between 1983 and this season were in 1987 and 1995. Rice has only beaten the Tigers once since 1966. However, despite LSU winning a national championship in 1958, it was a competitive series between 1955 and 1966. Rice had a 5-4-2 record against LSU during that span. The most notable Rice win was in 1961. The Owls denied the Tigers a chance at second national championship in four seasons. After losing the opener to Rice 16-3, LSU would win the next 10 games including the Orange Bowl. Rice would finish 7-4 and lose in the Bluebonnet Bowl, the Owls’ last bowl appearance until 2006. Rice made 5 bowl games from 2006 to 2014, winning 3 of them, their only wins in bowl games since 1953 (they also lost the 1957 Cotton Bowl and the 1960 Sugar Bowl). The Owls have returned to their prior form since that 2014 bowl win though. After falling just one win short of qualifying for a bowl for the fourth consecutive year in 2015 (with a 5-7 record), Rice has only won 5 games since the start of the 2016 season. Two of those wins were over FCS opponent Prairie View A&M, including in the opener this year, which was Rice’s only victory in its last 21 contests. Two of the other wins since 2016 were over UTEP, which finally ended a 20-game losing streak two weeks ago against Rice. The fifth win was over UNC-Charlotte, which only began playing in the FBS in the past few years. Strange times in the SEC, but I suppose it’s not too unusual that LSU and Alabama look good in the early going. 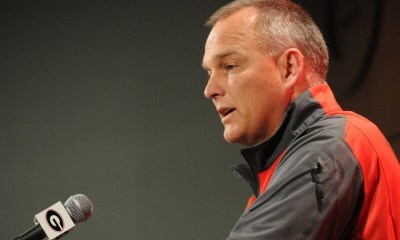 I’m still getting used to the absence of people like Les Miles, Steve Spurrier, and Mark Richt. Less significantly, Hugh Freeze is gone now too. Based on recent developments, Kevin Sumlin may be on his way out as well. It’s a tough job and you expect turnover, but it’s getting to the point where you can barely get used to people. Despite managing to win the East the past two years, Florida has been struggling against non-divisional major-conference opponents for a long time. By my count, the Gators have dropped the 16 of the last 20 such contests (see the end of the blog for the list). So although I’ve never been a fan, it’s been disconcerting to have Florida struggle outside of its own division as well. It’s not the Spurrier or Meyer days there anymore for sure. Moving on to specifics over the weekend, Florida St. (who incidentally is responsible for four of those Gator losses) made me feel a little bit better about the fact that LSU was shut out against Alabama about 10 months ago. That’s a pretty talented quarterback with a pretty talented play-caller (actually one of the best), and the Tide held them to only 7 points. LSU had an interim OC and a quarterback who couldn’t manage to hold the starting job at Purdue a couple of years before. The Seminoles’ longest run from scrimmage was 9 yards. If that happens to LSU against Alabama, we’re most likely going to see another shutout. 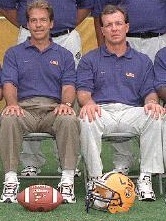 Nick Saban and Jimbo Fisher when Fisher was Saban’s offensive coordinator at LSU. Of course, they were head coaches on opposite sides of the Alabama-Florida St. game. I do want to be fair to both Florida St. and Alabama (which did show some weaknesses in giving up 210 passing yards) going forward though. If Florida St. struggles in the passing game this year, it may be due to the season-ending injury of that quarterback at the end of the game. If Alabama’s defense doesn’t look quite as good, it may be because that unit suffered a couple of season-ending injuries as well. Going back to Florida for a moment, the score makes the Gators offense looks a lot better than it was because two of the scores were from interception returns. Even without any injuries, Florida may struggle at the QB position more than Florida St. does going forward. Another program that shouldn’t be feeling too good is Texas A&M. When you’re paying your head coach $5 million per year and your defensive coordinator $1.55 million, you don’t blow a 44-10 lead. That’s something that happens to a school where the head coach and DC are lucky to get $1 million per year combined. 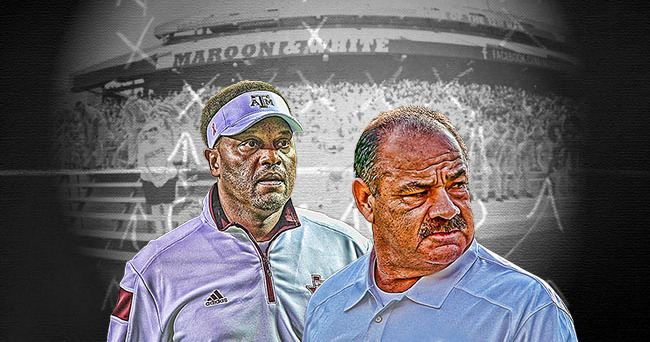 Kevin Sumlin (left) and John Chavis probably don’t have very secure jobs at the moment. So with the big headline scores in the SEC out of the way, I’m going to talk a bit about my Tigers. It might not be quite as impressive as holding Florida St. to 250 total yards; but BYU isn’t Savannah St. or anything, and the Cougars were held below 100 total yards for the game. 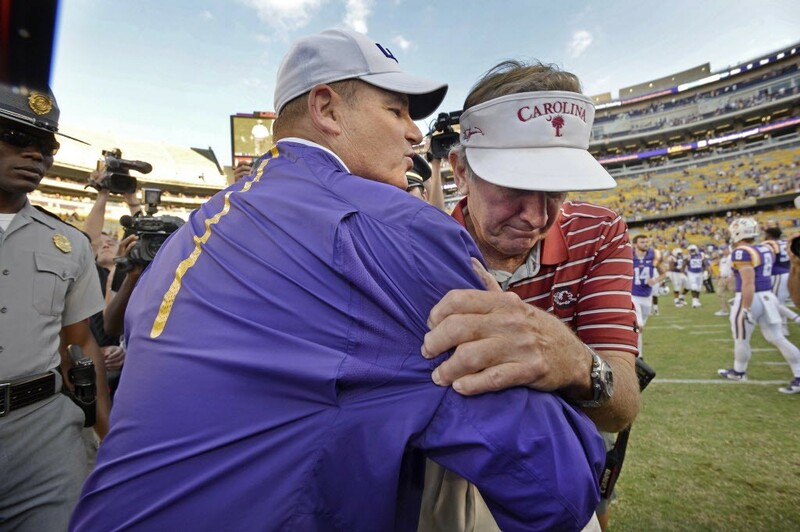 The negative rushing yardage was the lowest by an LSU opponent since Ole Miss in 1982. The longest run from scrimmage being only six yards was the “lowest long” since Tulane in 1976. On the LSU rushing side, there will be some criticisms that the Tigers ran too much, but when you average over 5 yards per carry and only have to punt once, you can theoretically run every down without it being “too much”. Although he only threw 17 passes, Danny Etling (the former Purdue quarterback I mentioned) had the highest completion percentage since Zach Mettenberger was 25/29 in Week 6 of 2013. Unlike Mett, Etling didn’t throw an interception though. Etling mostly threw short passes, but he did throw one pass for 52 yards and another for 32. 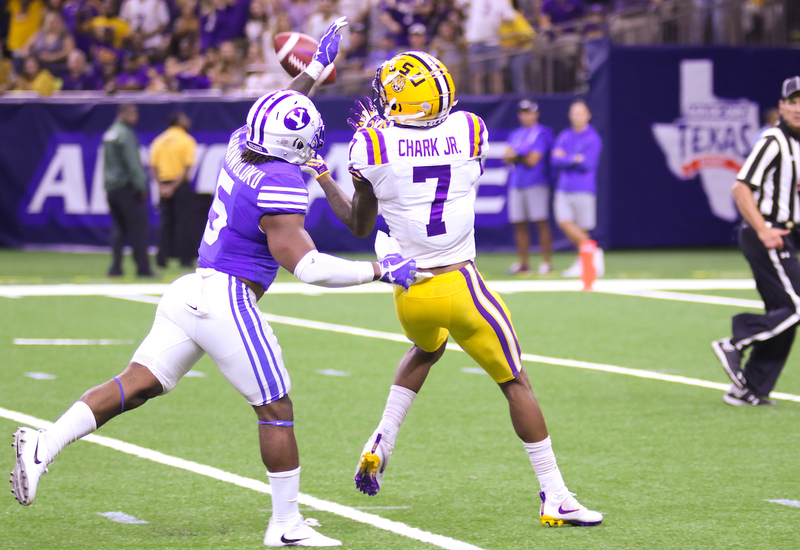 DJ Chark catches a 52-yard pass from Danny Etling to set up the Tigers’ second touchdown in the second quarter. It was far from a perfect game though, as you’d expect from a first game. At halftime of his game Nick Saban said something like, “We made a lot of mistakes, but we got away with most of them.” Same applies here to some extent. LSU did get to third down 10 times, which resulted in 5 conversions, 3 field-goal attempts (1 missed), 1 punt, and 1 failed fourth down attempt. So only 3 of the 10 were complete failures. 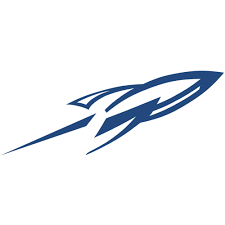 Without a deep threat and without the ability to gain speed in space, the offense did sputter at times in the red zone. The failed fourth-down attempt was on the goal line and it looked like a combination of the wrong back and a missed block. I don’t think it was a bad play call though. There could have been some more passing plays called in the red zone, but there were reasons not to call those. When you have less margin for error, there is a greater chance of an interception. LSU’s field goal kicking is a work in progress. Giving up a sack could have taken them out of field goal range. Also, since LSU was ahead by 14 or more points for 2/3 of the game, it was obviously in the Tigers’ interest to run the clock. The one LSU drive (the first one) that led to a punt was mostly due to 15 penalty yards. LSU was also penalized a total of 15 yards in the drive that ended in a missed field goal. In total, the Tigers were penalized 10 times for a total of 86 yards in the game. LSU had a lot of kickoffs, which is good, but on many of them the coverage outran the return team. This is how you give up special teams touchdowns. It didn’t happen, but I’m sure there will be someone back to make them pay in some of the SEC games without improvement. The average BYU kick return was still almost 20 yards. At any rate, I’m more optimistic than I was going into the game. I think the line was 14.5, which seemed about right to me. If anything I thought LSU would win by less than that. I’m impressed by how well the young players did, and to think many of them are second string right now gives me hope for both this season and for the future. We have to go one week at a time, but I have a feeling that we could at least win more big games than we lose in October and November. I don’t anticipate having much to say about LSU after next week’s game, but I’m going to consider what kind of blog I want to write in the middle of the week going forward. This will be a much shorter week than normal since I won’t have the top 25 until tomorrow. Many were on the road or at neutral sites, but the Swamp still isn’t what it used to be. This was the list of Florida games I referred to earlier. 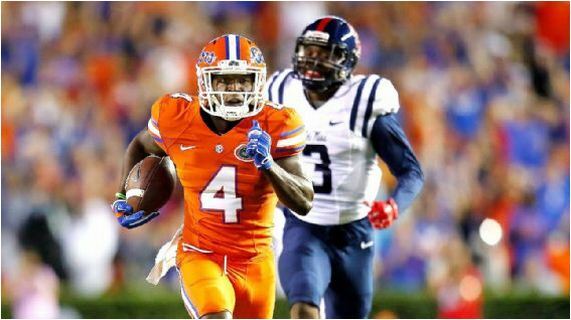 So if you haven’t heard, the LSU-Florida game got resolved. The downside is LSU loses a home game next year (and will have FIVE SEC road games) and will play one fewer game this season. 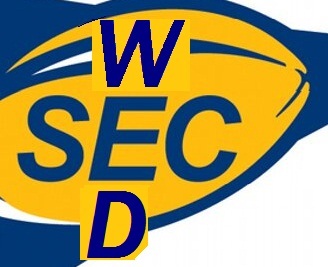 I understand the SEC insurance policy will kick in for the South Alabama buyout. Reportedly South Alabama offered to play on the LSU bye week of 10/29, and LSU was not interested. So far the Texas A&M game is still scheduled for 5 days after the Florida game (the date when LSU was originally going to play South Alabama). The upside is LSU still keeps the 7 home games for this season, Although the Tigers now finish with five consecutive opponents who are currently ranked, two will be separated by a bye week and only two of those five will be on the road. LSU has not played a ranked team yet this season, although Wisconsin and Auburn are currently ranked. 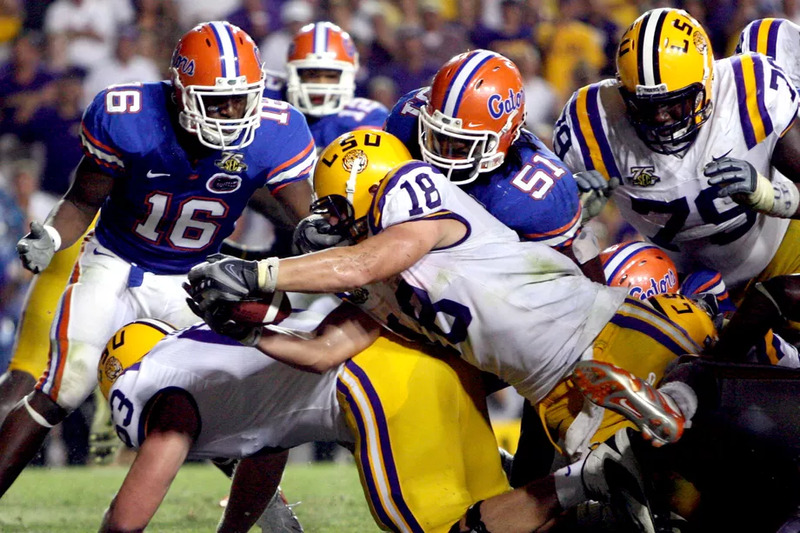 I doubt it will be two top-10 teams at game time like it was back then, but I think of the 2007 match-up every time Florida @ LSU is brought up. Also, despite all the road games next season, LSU also avoids having to go on the road in consecutive weeks next season. There will be two potentially brutal stretches though: @Florida/Auburn/@Ole Miss and @Alabama/Arkansas/@Tennessee/Texas A&M. At least that A&M game will be on a Saturday. Florida loses two home games this year in the process (for a loss of one net, same as LSU), but let that be a lesson to them. When a program used to reacting to hurricanes calls you and tells you that you need a better backup plan than “we’ll delay the game a few hours,” listen. 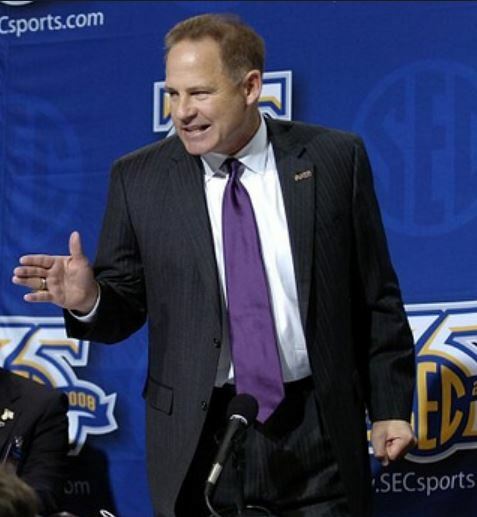 I mentioned my aggravation with the Tennessee/A&M ATS “loss” in the rankings blog. You shouldn’t ever have to cheer for the team that you didn’t pick to score. If A&M wins in regulation with a field goal, I win. If they win in the first overtime with a touchdown, I win. But since they win in the second overtime with a touchdown, which means Tennessee played even better, I lose. Kentucky likes to just barely beat the spread, so at least I won that one. I think they beat it by 4, but Vandy was close to sending that game into OT. I was somewhat reluctant about Auburn, but they’ve been doing quite well on offense. Random stat I noticed: Sean White completed 14 passes for 204 yards with only 4 incompletions. I was just plain wrong about Alabama. I could have backed into it with another late TD, but it was not to be. Maybe LSU will be able to get the Golden Boot back this year even though the game is in Fayetteville. Most of the game Georgia was ahead either 14 or 7, but thankfully time expired with them ahead by 14. I am finally back to a winning record against the spread. I was not hopeful about that happening again a couple of weeks ago. My records are now 49-8 picking winners and 25-24 against the spread. 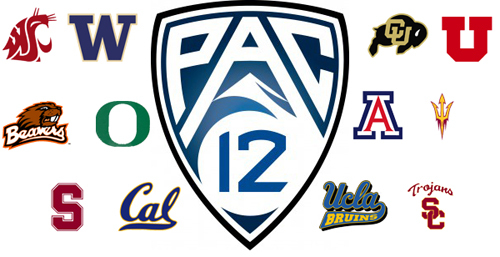 I guess for next week I’ll start out with the non-conference games. Lines were taken from the ESPN site on Wednesday to be consistent with other weeks. BYU is kind of a tough nut to crack. I don’t understand beating Toledo by 2 at home and then running away with a game at Michigan St. Missouri beat BYU last year despite having an awful season, but the game was in Kansas City. 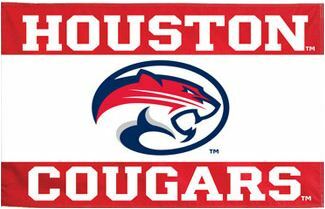 I’ll take the Bulldogs and the points, but I’ll pick the Cougars to win. I think the line has gotten out of control for LSU/Southern Miss. I think it opened at 21. It’s now 25.5. So 31-7, for instance, wouldn’t be good enough. I’ll take the Golden Eagles. LSU has some serious injuries on offense. If they’re up by between 17 and 21 at halftime, I don’t think they’ll be trying too hard to outscore the opponent in the second half. USM is coming off an ugly road loss, which may have helped to inflate the line, but they did win by 9 at Kentucky earlier in the year. In the other road game a couple of weeks ago, the Golden Eagles beat UTEP 34-7, so last week may have just been an aberration. It could be a blowout, but I think the unnecessary bye week could have put a damper on LSU’s momentum. Georgia by 14 hosting Vandy is a good line. Vandy is roughly equivalent to South Carolina and this will be between the hedges. I’ll take the Dawgs, who I think have been improving overall. Alabama is favored by 12.5. I’m thinking they’ll win by 3 to 10 points, somewhere around there. Florida has looked shaky and as mentioned is banged up. Despite the manhandling LSU gave them, Missouri should be able to keep it much closer. I’ll take the Tigers +13.5. As mentioned, Arkansas has been a bit flat. Ole Miss was playing very well before the bye week. I think they can win by more than 7.5. I’m sure they want revenge from the last two years. I don’t really understand how in both 2014 and 2015 they lost to Arkansas but beat Alabama, but anyway. I was going to do some kind of preview of other games, but the only thing outside of the SEC that excites me much is Ohio St. @ Wisconsin. So far Ohio St. hasn’t shown any symptoms of having a young, mostly inexperienced team, but the only thing that looked like a major challenge previously was Oklahoma. 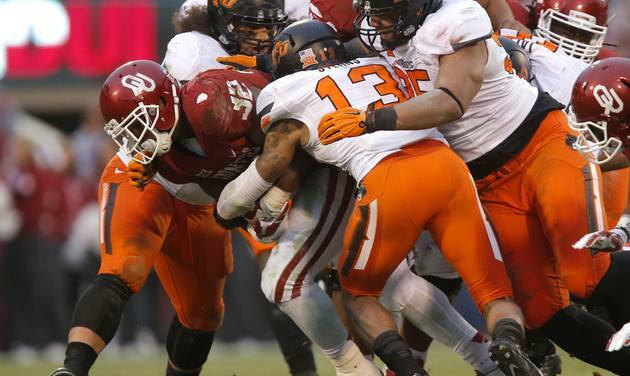 The Sooners are not nearly as good as they were projected to be though. Of course Wisconsin beat LSU, although both teams are a lot different now from what they were then. The Badgers had a surprisingly easy victory over Michigan St., another team that has proven not to be very good after making the Playoff last year. The Badgers’ only loss was by 7 @Michigan. The home field may make the difference here as well. ESPN’s FPI gives the Buckeyes a 71% chance to win. I’d put money on Wisconsin if you gave me 7:3 odds. The only other non-SEC game I plan to watch is UCLA @ Washington St. Both teams can have fun offenses, although as an SEC fan, I may get frustrated with some of the defensive play. There may be good defensive players, but it’s hard to keep up they barely have time to catch their breath between opponents’ possessions. Looking back at last year, I did not do a good job at picking against the spread in non-SEC games, so I’m not planning on including those in my totals. If I do really well with them early on, I may change my mind. I was already excluding FCS opponents from my spread games, so I’ll just have more even spread and non-spread categories this way. I was too busy the last couple of nights to post anything. You’ll have to take my word that I picked South Carolina to win, but I didn’t even look up the point spread before the game, so I’ll score that as a non-spread game. You don’t really have to take my word on Tennessee-Appalachian St., because if I thought they would lose at home to Appalachian St., I certainly would not have ranked them so high. They can expect to fall a few spots. However, you might remember Michigan’s loss to Appalachian St. in 2007. The Wolverines went on to finish in the top 20 in both polls after beating a very good Florida team in the CapitalOne Bowl. Make the Appalachian St. game a close win rather than a loss, and maybe they finish in the top 10. Also, I suspect Appalachian St. recruiting has improved a bit since that Michigan upset, so this is probably a much better team than the one Michigan faced. Let’s not forget that Appalachian St. won 11 games last season. 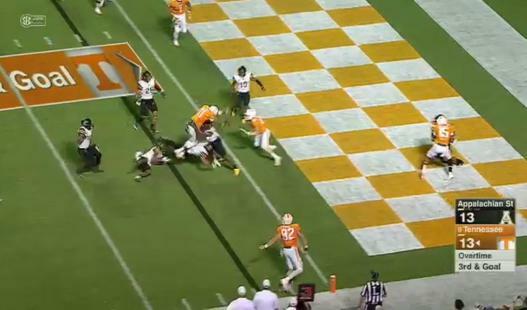 Tennessee QB Joshua Dobbs fumbles in OT. The ball was recovered for what turned out to be the winning TD. Yes, it was a fluke that Tennessee got that winning touchdown, but the Volunteers had some bad luck too. A muffed punt set up the first Mountaineer touchdown, and Tennessee also had a drive deep into Mountaineer territory that ended in an interception. Take out either of those events, and the overtime touchdown probably wouldn’t have been necessary because there wouldn’t have been an overtime. Of course the Vols do need to improve in a hurry (including eliminating those key mistakes) to have a good season, but I don’t think their struggles were due to any talent deficit as compared to expectations. Obviously today isn’t a Wednesday, but this will be a weird week anyway since all the games won’t be completed until Monday. I will have my rankings on Tuesday, god willing, and I like to have separate them by a day. So next time expect the big SEC post to be on Thursday, and afterward, I’ll plan to transition to Wednesday. Wisconsin should test LSU’s 52-game non-conference regular-season winning streak. I would probably take the Badgers with the points though. Arkansas to beat Louisiana Tech. Not much to say there, although I would probably take the points there as well. Mississippi St. might struggle with South Alabama similar to Tennessee’s performance, but again I have to go with the SEC team at home. I would definitely take the 28 points though. I won’t do that with Missouri-West Virginia though. The Tigers looked pretty bad at the end of last year despite the BYU win (they lost the rest of the final 7 games of the year). West Virginia hasn’t been abundantly consistent under Dana Holgorsen, but inconsistent is better than consistently weak. It’s a good line, but I think the chances are the ‘eers will beat it. UCLA didn’t end last season particularly well. Neither did Texas A&M, but I’ll give the edge to the home team and pick the Aggies. Might as well give the three points. 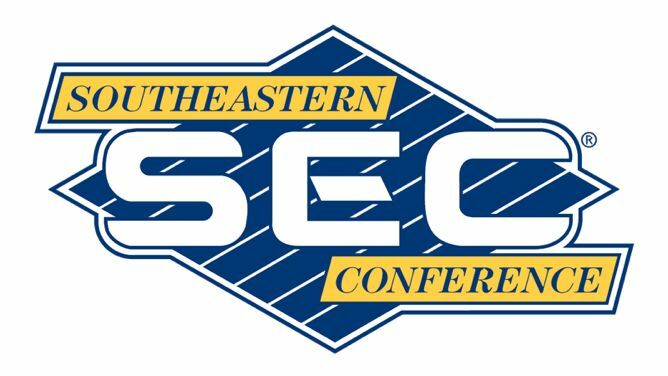 Georgia will be playing a “neutral” game in the Georgia Dome, but the SEC team usually wins there even if they’re not from northern Georgia. Give the three points as well. Kentucky beat ULL by a touchdown and needed overtime to beat Eastern Kentucky last year. USM had a six-game winning streak before they ran into Western Kentucky and Washington last year. Kentucky and USM have similar numbers of returning starters. I’ll pick the Golden Eagles. The bottom of the SEC will likely have a loss or two out of conference to someone, so this looks like one of the more likely ones. Florida should cruise against UMass, but given their struggles with Florida Atlantic last year, who knows? I would not give that many points (36.5). Alabama seems like an easy pick against USC, but it could be interesting. I picked the Trojans to do well the past two seasons, so maybe the fact that I didn’t this preseason means they’ll be good. I’d take the points there too. 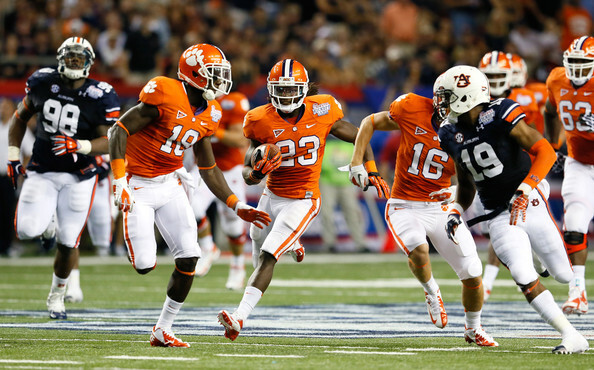 Although Auburn had a disastrous 2012 campaign, the season-opening win for Clemson was huge. I’ll predict another SEC loss on the Plains. Auburn has to be so much better than they were last year and Clemson has to be so much worse than they were last year in order for the home team to win this one, I just don’t see it happening. Ole Miss has a good quarterback but not much returning support. I don’t see them knocking off the ’Noles either. Maybe take the points on those last two games though. So in my preseason rankings, I didn’t show the ranking changes since last year. I’m going to do the adjusted rankings below as the prior rankings, but you can always check out my official un-adjusted ones here. 9 Iowa 9 – Miami U. 25 TCU 14 – S. Dakota St.
Like last week, I’ll start by mentioning a couple of other blogs and then get to the rankings. I’ve updated by Auburn Rivalry blog. Not too much to say about this game, although it was the highest-scoring of the 50 games of the series. Last week, I talked about LSU in one blog and about the prominent national teams in another; but for the moment, I feel like that’s the same conversation. I was concerned that Mississippi St. was allowed to get within two and had a chance to win at the end in Week 2 (the Tigers’ first game), so I thought LSU didn’t deserve to be a top 10 team. But if that were true now, almost no one deserves to be a top 10 team, so I’ve significantly re-evaluated this position. I’ll give a brief summary of the rest of my new top 12 for comparison of such games. Ohio St. just won a home game against a MAC opponent by only a touchdown. The Buckeyes only managed 13 offensive points before a defensive score late in the third quarter and did not score in the fourth. Michigan St. only led Western Michigan by 10 points for part of the fourth quarter in Week 1 before kicking a field goal with 8 minutes left. Still, the margin was less than two possessions (37-24). Western Michigan was blown out by Georgia Southern. Midway through the fourth quarter yesterday, TCU only led SMU by five points. Baylor has only played SMU and Lamar, so no close games yet, but allowing a combined 52 points in those two games has to be concerning. UCLA only beat BYU by a single point yesterday after taking the lead with just over 4 minutes remaining. Clemson beat Louisville by a field goal after the Cardinals lost a neutral-site game to Auburn and also lost to Houston at home. Florida St. only managed one offensive touchdown against Boston College and led only 7-0 going into the fourth quarter. The defense scored in the fourth quarter, but the offense only scored on its first drive. Notre Dame trailed Virginia in the final two minutes in Week 2. There are three SEC teams not mentioned above. Alabama lost to Ole Miss (and for that reason I’m moving the Rebels up to #2 and moving Alabama down 6 spots). There is also Texas A&M. I’m still a little skeptical about the Aggies, who have yet to go on the road (although technically Houston was a neutral site), and perhaps they just got a little lucky in Week 1 when they pulled away from Arizona St. late. Really though, if Arizona St. is anywhere close to how good they’re supposed to be, A&M should be in the top 5 if we only looked at what’s happened on the field so far. Going back to LSU, of course it also didn’t hurt to have such a dominating conference win. The Fighting Tigers were lackluster at a couple of points in the second half, but it was a 24-point lead at the half, and LSU won by 24. Oregon is the #2 team with a loss now, so I don’t think 13th is too bad even though it’s worse than last week. I’m concerned about their defense though. Georgia, the Oklahomas, and Wisconsin just moved ahead of teams that lost or that I moved down. I moved Northwestern up on the strength of Stanford’s win at USC, then I go to some teams with “good” losses. Kansas St. needed three overtimes to beat Louisiana Tech, so they moved down, but I put them ahead of Georgia Tech, which lost to Notre Dame. BYU was only 22nd last week, but I still kept them in because going to the Rose Bowl and losing by a point doesn’t tell me they’re not a top-25 team. Finally, I put U. Miami in because they had a close win over Nebraska too, but they’re ahead of BYU because they haven’t lost. U. Miami players celebrate the winning field goal in overtime after the ‘Canes blew a 23-point lead in the fourth quarter. Missouri and Temple were removed for barely beating basketball schools UConn and UMass. Starting next week, however, I will no longer consider margin of victory. It gets too tricky to keep track of who almost beat whom or should have scored more points and the circumstances, but you have to do that early to separate otherwise similar teams.